Web design for small businesses and professionals. I offer innovative and creative solutions that give visibility to your website. You can have a personalized, beautiful and professional website. 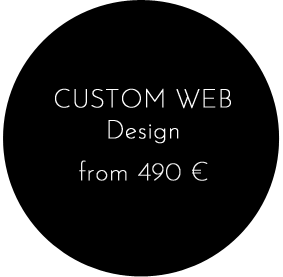 The basic price includes: 4 sections, regular plugins and SEO, made with the WordPress CMS, with a template that we customize to your liking, domain and hosting costs are separate. All material will be provided by you, texts, photographs, etc. Start your project. Have fun creating how you want to communicate. I will help you to make it come true with the essential elements to begin with. Do you want to know what are the 5 elements that you need to start your project? 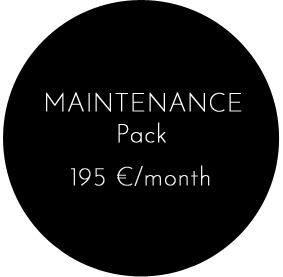 Take advantage of the € 200 discount for the inauguration of this website, that will last until the end of May 2019. Let's make it easy. If you want, we can do the work that we feel lazy to do. Update the web, write a mailing every month, participate in social networks (Instagram, Facebook), ... and if you need something else, we talk. The final price will be based on the work to be done, it can be more or less. 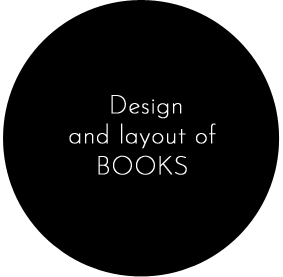 Graphic design, layout of books for publishers and professionals. Books of photographic memories. Do you have all your old photos inside a box? Do not think about it anymore, take the box to us, and we'll turn it into an album, all neat, clean and organized! Do you have your THESIS finished and now you need it printed and binded? I offer the service you need and you will not have to worry about anything else. In just over a week you can have your THESIS printed in a book format and surely you will not regret ... I offer design, layout and binding services for your THESIS. Do you have to publish the THESIS? I offer you design, layout and binding services for your THESIS. 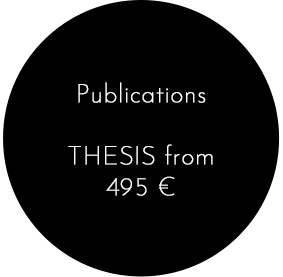 Do you have the completed THESIS and now you have to publish it? I offer the service you need and you will not worry about anything else. In just over a week you can have your THESIS printed in a book format and definitely will not regret it! After all your hard work, you deserve to give it a proper finish. Does your text need to be reviewed and correct? Does your thesis need any illustrations? We can offer you all this. Contact us and we will solve any of your doubts. QUALITY PRINTING – Din-A4 size book, covered 240gr matt laminate with overlays, 100gr offset paper. AFFORDABLE PRICES – Example prices: 200 pages, 5 copies € 495 and 10 copies € 575. For more information, request the price list. What is the NEW COMPANY PACK? I offer Design Packs to help new companies to have what is essential to start. With these 5 elements that I present you will have the tools you need to get customers, which is always the most complicated part of the project. CARD – Business cards, personalized, where your project is reflected. We are talking about 250 cards. Basic CATALOG- Basic catalog -10 pages- of presentation of your most relevant products. In digital format. You are responsible for providing us with texts and photos. We give you 3 printed copies. WEB PAGE- Basic web page. Everyone needs a website to attract future clients and have their image updated on the network. Basic website with 4 sections. TAMP- A tampon that you can identify the products in a simple way and without much investment. CONGRATULATIONS on Christmas – Have the Christmas greeting ready for when the time comes, just when you have all the work in the world, that’s priceless … Digital format. 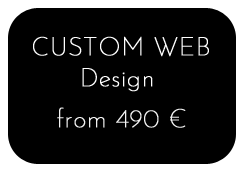 Take advantage of the € 200 discount for the inauguration of this website, that will last until the end of May 2019. Start thinking how to start your project. Sign up at my Newsletter to receive news and inspiring proposals that will make it easy for you to start up the idea you have in mind.